Rhodes Island Greece: What crisis? 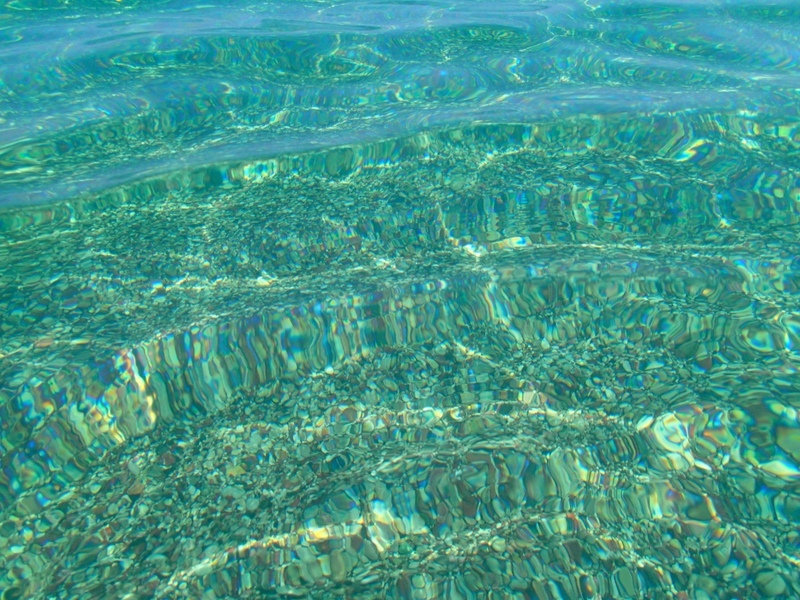 It was really this clear and amazing in the water. I decided on a day trip to one of the Greek islands from Turkey, Rhodes was the best option so away I went. I had wanted to explore the Greek islands more thoroughly but the Greece crisis and already completely over doing myself on this trip held me back, this time. I just wanted a little taster, a little teaser of what Greece could offer me. I was not disappointed. As I boarded the hop on hop off bus, I felt like I was making good use of my short 5 hour day trip. With typical Greek wedding music playing, building into a crescendo, I felt like yelling out “whappa” and smashing a plate I was that excited. But no, I kept my cool, and quietly sat enjoying the tunes through the tacky plastic earphones, happy, smiling and doing a little Greek dance on the inside. Whappa!! 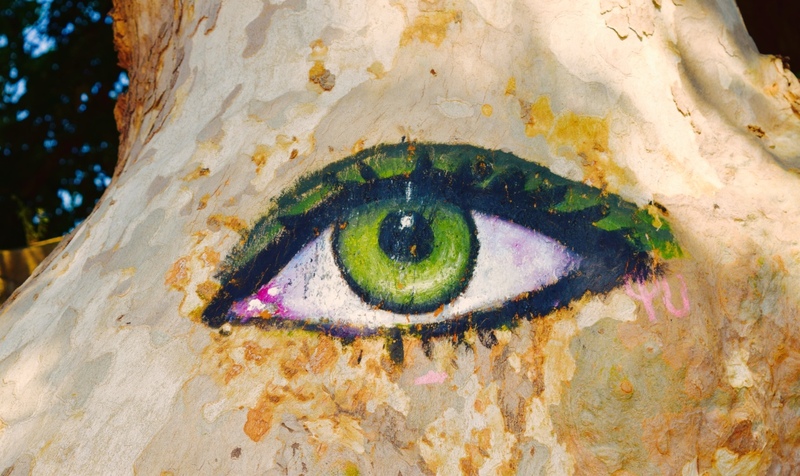 Loved this eye an artist painted on a tree. The bus was worth the journey just for the views of the ocean from high above the town. Deep blue coastline, darting boats, clear blue skies, how many more ways can I describe how awesome the blue was? Really blue, like royal marine clear want to dive right in and soak in that awesomeness kind of blue. And of course the Greek music, that was a highlight for me! The evil eye pendants. everywhere to be found in this part of the world. Once off the bus I wandered around the city streets, and found my way in the old city. 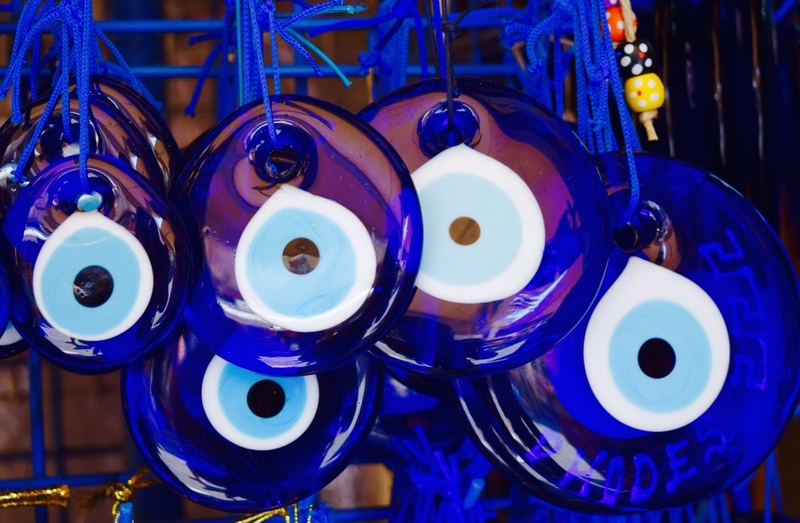 A really great and interesting part of town, ancient old buildings but jammed packed with tourist shops, cafes, leather shops, soaps, evil eye pendants and all sorts of other paraphernalia. I was pretty over shops, and tourist things especially. I am a bad tourist like that, I hate to buy anything! So instead I made my way to the beach, for some more blue action. 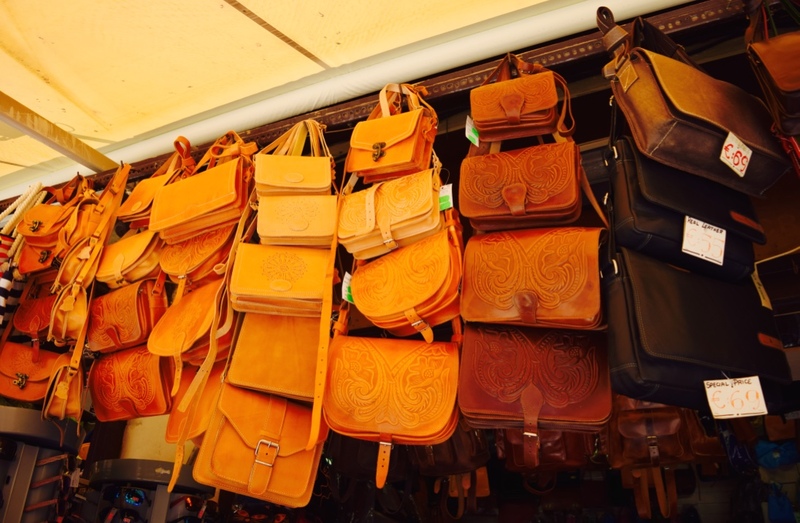 I would have bought every single one of these bags. I love leather bags. I just bought them with my eyes. So much easier to carry! The day was super hot on Rhodes, at least 35 and humid. My golden tan was looking very impressive, but it was hard to lie in the sun for too long, especially on hard pebbles. But I persisted! Having only 3 Euros on me in cash, I could not afford the luxury of a 5 euro sun bed chair, so I sat like a pauper on the pebbles, next to the other tight arses, in the boiling hot sun. Me swimming in the ocean, behind the lens! I just can not bring myself to put my waterproof Olympus underwater. I tried hard this time, but no, still not a drop of water touched my little baby. 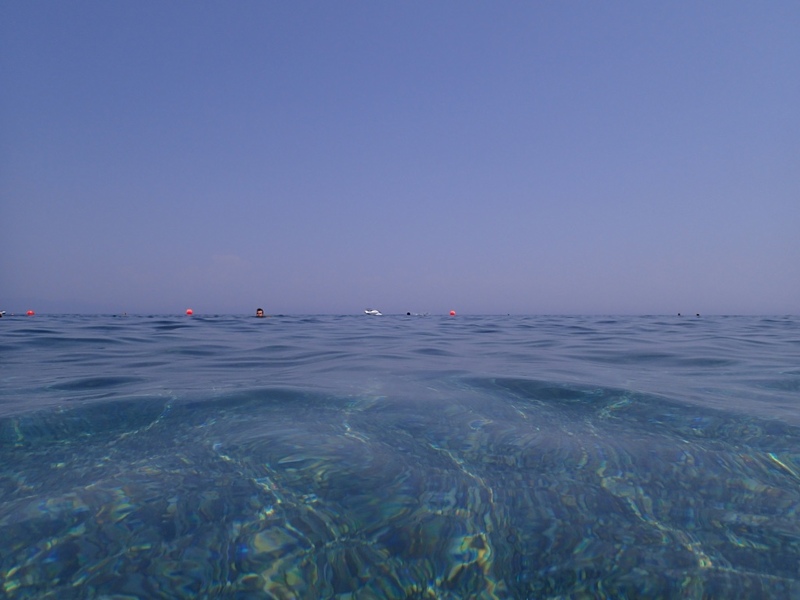 I bobbed in and out of the water, enjoying cooling off and admiring and blissing out at my surroundings. It occurred to me that the same time in one week I would be back in my hometown of Perth, probably reminiscing on swimming on a pebbly aqua blue beach in Rhodes Island. Ha! As for the Greek crisis, I saw no indication of any turmoil. I could not for the life of me find a bank machine, but I didn’t look all that hard. It was business as usual so it seemed. I felt like the best thing I could do was to help the economy by visiting. However, I didn’t spend much so I wasn’t much good to them! Haha! After more walking around I felt like a rest and just relaxed on a bench to watch passers by enjoying the cool afternoon sea breeze. My day trip passed by fast, and before I knew it, I was back on the ferry shooting across the ocean to Fethiye. I had one more night planned in this small sea side town, then it was time to fly to my very last city on my epic trip: Istanbul. 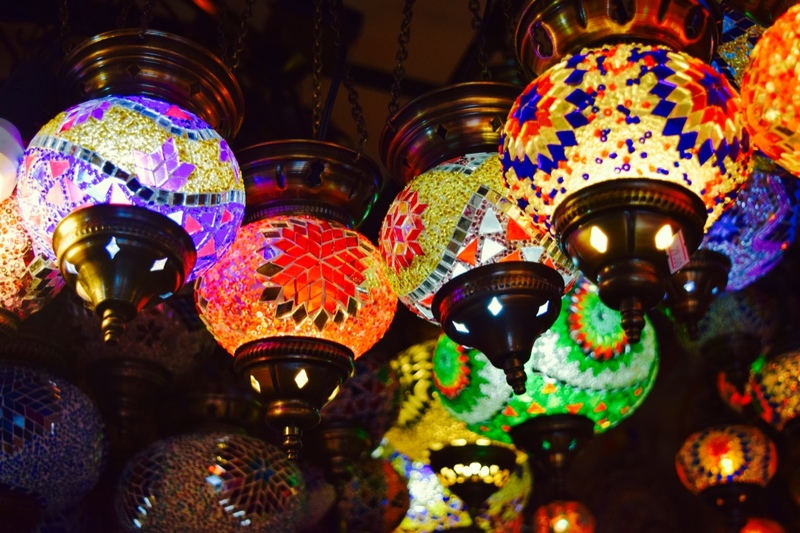 Love all these colourful lanterns too. Yes if I had unlimited bags, and light fittings, I would have bought all of them! They look so good together! I hope you have enjoyed my trip so far, I have written so much and taken so many photos! It really has been amazing, and I have really enjoyed sharing it with you. Which country did you like seeing the most on my travels? I was in Canada, Alaska, Iceland, UK, Wales, Belgium, Germany and finally Turkey. Now that is a lot of places! Thanks to all my friends who hosted me and met me for dinner or coffee or a city tour! I love to meet locals, it makes the travelling experience so much more authentic. 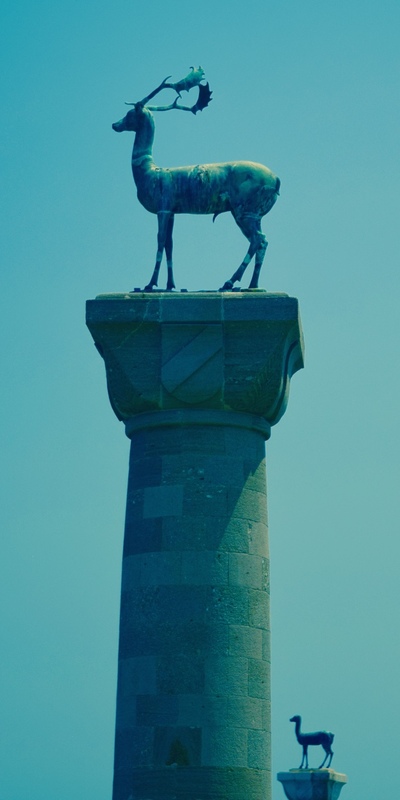 These cool statues as you come into the harbour. But wait there is more… I will no doubt be writing a few posts about Istanbul as I have heard it is such an amazing city, a real blend of East meets West. So let’s see how that goes! Until then, take care and drop me a line to say hi! What was your favourite country to see on my trip? I LOVE all of your pictures. I can see you publishing them along with your travels. Knowing you through this blog, I am sure you have looked into what the process would entail. In October? That is soon. October 6, my Mums birthday is opening night, at Emerge Art Space in Inglewood here in Perth. Where are you again? I need to get cranking with advertising etc as I was in doubt mode last week, and now I am in “let’s go for it” mode. Brilliant!! Surge of creative inspiration!! 🙂 Feels great! I hope you can make it!? I live in Palm City Florida. I am here for two years now after having lived in Connecticut most of my adult life, raising my family. Previous to that I lived in Boston Massachusetts. I have never been to Australia. It does intrigue me. Arts are my passion and I am always curious as to what artists are doing. I just went onto Facebook and friended you.